We are happy to announce that we have joined with Art of Where to bring our customers pillows, pencil cases, iPod Touch cases and more. 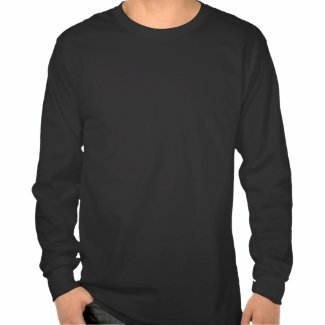 Please check out our new, but growing selection of designs and let us know what you think in the comments. This afternoon, the Cardinal Mooney Cardinals (10-3) play the Springfield Shawnee Braves (14-0) for the Ohio Division III State Football Championship. A win by the Cardinals would give them their eighth state title in school history! Today I have some Cyber Monday deals for you from Barnes & Noble. Cyber Monday Sale! 50% Off NY Times Bestsellers at BN.com! Black Friday/Cyber Monday Preview Sale: Up to 50% Off DVDs and CDs at BN.com! NOOK® Cyber Monday Deal – Buy Any NOOK, Get $25 BN Gift Card. Today, Online only! Get a free $10 eGift Card when you purchase $100 worth of Gift Cards at BN.com! Best of 2011 All Young Readers Buy One Get One 50% Off at BN.com! 25% Off All Melissa & Doug Educational Toys at BN.com! Buy One, Get One 50% OFF on Thousands of Toys & Games at BN.com! Gamestop is having some Cyber Monday specials for all you gamers out there (or the parents of gamers). Here are some of their specials. Today I have a wide variety of coupon codes for you for Black Friday and beyond. These are great to give you a kick into that Christmas or even Birthday shopping for later on. I’ve tried to pick an assortment of different places so there is hopefully something for everyone here. First up I have Super Hero Stuff. They are running a sale called 7 days of Thanksgiving and are running a different special each day. When you go to the site, you will be given the code for that day. Below I have listed what is on sale each day. Cardstore.com is having a 70% off sale TODAY ONLY. This is limited to the first 100,000 holiday cards, so you need to check this one out fast. Use code BLACKFRI. Calendars.com is having a 72 Hour Sitewide Sale! Up to 60% Off Plus Free Shipping on Every Order Black Friday Weekend! Black Friday Sale! 50% Of 50 Bestselling Books at BN.com! Black Friday Sale! Save up to 50% off 1 Item at BN.com – Use coupon code D7E4M3E at Checkout! Black Friday Sale! 50% Off List Price on Any One Educational Toy or Game at BN.com! AFFILIATE EXCLUSIVE! 50% Off the List Price for Any One of 51 Top Cookbooks – Use Code W4B3V3X at checkout at BarnesandNoble.com! Buy 2 Get 3rd Free – Little Golden Books Sale at BarnesandNoble.com! Save up to 30% off on Barbie, Fisher-Price, Little Tikes, and More at BN.com! 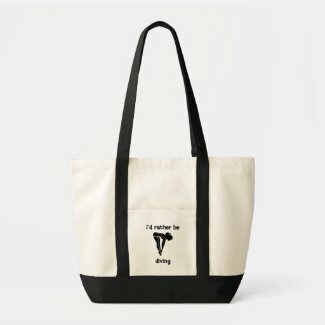 30% off JP Lizzy Diaper Bags! Save 50% On All Pet Holiday Products at PetSmart.com! Valid 11.25 Only. Save 50% On All Grreat Choice & Top Paw sweaters & coats at PetSmart.com! Valid 11.25 Only. Take 50% Off Pillow, Orthopedic, KONG Pillow Beds at PetSmart.com! Valid 11.25 Only. Save 50% On Grreat Choice 36x25x27 plastic carrier or 36″ wire crate at PetSmart.com! Valid 11.25 Only. Miles Kimball is offering free shipping on orders over $40, as well as a couple other things. These offers run through 11/30/11. Free shipping On Orders Over $40 at MilesKimball.com. Use code 10619101001 at checkout. 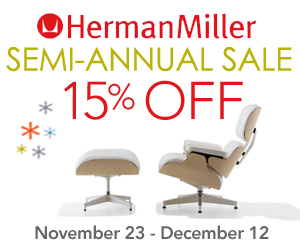 Offer valid through November 30, 2011. 15% Off Orders Over $40 at MilesKimball.com. Use code 10619101002 at checkout. Offer valid through November 30, 2011. Take $5 off any order over $35! Just use offer code 10610101040 at the checkout. Offer valid through November 30, 2011. Crazyforbargains is having a 50% off clearance sale through 11/28/11. Some restrictions do apply so make sure you read the fine print there. 50% off any Clearance Items at CrazyForBargains.com! Enter coupon code SAVEBIGONPAJAMAS at checkout. Some restrictions apply. Offer valid from November 24 to November 28. Finally, Wag.com is having some specials for that beloved pet in your life. If you have never ordered from Wag before, they do have a coupon for 15% off your first order (use code: WAG15). This only applies to new customers and is ongoing, so you can take advantage of that one after the holidays, as well. I recently added this hot air balloon wrapped canvas print to the store. This one really pops on the wrapped canvas and would look nice on any wall to add some great color, I think. You can get this on the split or in larger sizes a quad canvas, as well. Wrapped Canvas product information: Zazzle’s matte canvas is made from an acid-free cotton-poly blend and features a special ink-receptive coating that protects the printed surface from cracking when stretched. Made with a tight weave ideal for any photography or fine art, our instant-dry matte canvas produces prints that are fade-resistant for 100+ years. I recently added this White Flower wrapped canvas print to the store. You can get this is the split canvas and at larger sizes a quad, as well. Zazzle has introduced wrapped canvas prints, which look just really lovely. I am slowly getting them added. Here is one that I recently added that is done in a split 2 canvas style, which I think looks pretty cool. You can get it in a single canvas or if you get a larger size, in a quad canvas. Here is the product information about the wrapped canvas prints: Zazzle’s matte canvas is made from an acid-free cotton-poly blend and features a special ink-receptive coating that protects the printed surface from cracking when stretched. Made with a tight weave ideal for any photography or fine art, our instant-dry matte canvas produces prints that are fade-resistant for 100+ years. 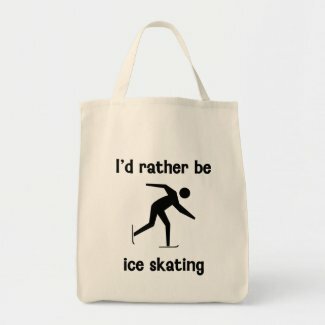 Just in time to start thinking about winter sports, we have added this I’d rather be ice skating design. It’s available on our full line of products and customizable for that one-of-a-kind gift. Both round and square buttons available. This environmentally friendly tote is great for groceries and other large items with its wide bottom. Made from 12oz cotton twill, it has cotton-web handles which have stress-point reinforced stitching. Dimensions: 13″w x 15.5″h x 7″deep. This I’d rather be diving design is available on our full product line and is customizable for a unique, one-of-a-kind gift. Shown here on the fitted classic baby doll, made with 100% super-soft ring-spun cotton, it has capped sleeves, and a tapered side-seamed contoured fit. NOTE: Sizes run extremely small. Order 1 to 2 sizes larger than normal. Also shown below is the Impulse Tote, which comes in multiple color combinations and is made from 12oz 100% cotton canvas. This attractive, large capacity tote looks great with designs on the pocket, yet it’s tough enough to stand up to stuffing, hauling and washing. 18 ½”W x 13 ½”H x 5 ½”D.